Download Eset Smart Security Premium 11 and Nod32 Antivirus 11 or Internet Security 11 is award-winning antivirus and security software solutions. Salaam beautiful peoples, how are you today! 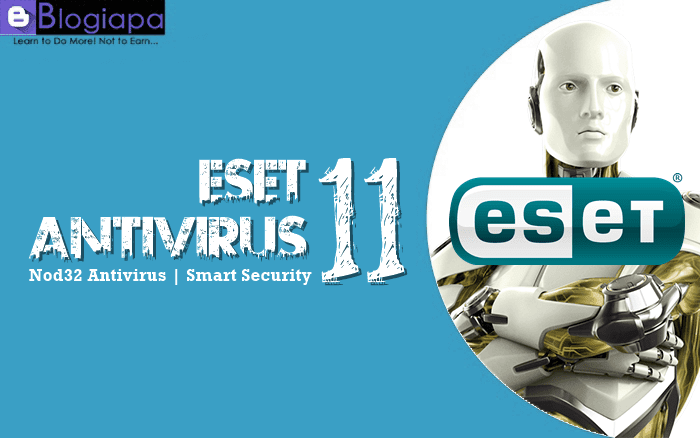 Today we share Latest Eset Nod32 Antivirus 11, Eset Smart Security 11 with Offline Download links. Don't forget to Subscribe and Join 1000+ other subscribers for direct updates in your inbox. You can also get us on Facebook & Twitter. Eset protects over 120 million users worldwide. I have been also using the Eset Antivirus for 3 years & never get infected because Eset Antivirus real-time protection is very fast. When connected or surfing the internet it detects all malicious sites & Blocks them immediately. We can download Eset NOD32 Antivirus 11 and Smart Security Premium 11, Internet Security 11 from the official site. But now eset.com provides live installer only and if you don’t have an internet connection then You can’t install the latest version of Eset Antivirus or Eset Internet Security on your computer. If you are facing problem Antivirus installation problem with the online installer of Eset Antivirus and with other Eset security product. So here I’m sharing offline installer links for Eset Antivirus 11, Internet Security and Eset Smart Security Premium 11 and other old versions, with that you can easily download & install Antivirus without difficulties from Official Site. Official Links are given below. Follow the instructions to download & Install Latest Eset Nod32 Antivirus 11, Eset Internet Security 11 and Smart Security Premium 2018 Offline Installer for Windows XP, Vista, 7, 8, 8.1, 10. Click Save when prompted and save the file to your Desktop "Once the download has completed, you may be prompted to click "Run" and begin the installation process. If the installer does not run automatically, navigate to your Desktop or wherever you saved the downloaded file and double-click it to open". When you are ready, continue to install. Click "I Accept the terms in the License Agreement" and click "Next". Select the "Checkbox" next to "Yes, I want to be a part of ESET Live Grid (recommended)" and click "Next". In the Detection of Potentially Unwanted Applications section, select your preferred option and Click "Next". Wait for 3 to 5 mints, after Installation click on "Finish" to exit the Installation Wizard. Now you have successfully installed Eset Smart Security, Eset Nod32 Antivirus and Internet Security on your offline computer. Download the offline installer ".msi" below. When prompted, click "Save" and save the file to your desktop.